40 of the most important, most interesting, and quirkiest American places 40 years old or less. 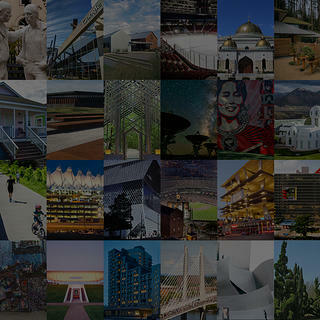 Welcome to 40 Under 40 Places—40 of the most important, most interesting, and quirkiest American places 40 years old or less, compiled by the staff of Preservation magazine. The by-no-means comprehensive list includes sites both well-known and obscure, high-end and low-budget, and urban and rural. Places typically aren’t considered historic until they’ve been around for at least 50 years, so why highlight younger sites now? Because by looking at them through a preservation lens and identifying places worthy of saving before they become truly historic, we can be proactive about their futures. From January 7-18, 2019, you voted for your favorite places on our list. (Voting terms). Each place on the list was built in 1978 or later, and each makes an important contribution in one of six categories: Arts, Science and Tech, Culture, History, Landscapes, and Housing. Top vote-getters will be featured in the Spring 2019 issue of Preservation. Read our stories to learn more about each place, and see the results of the voting below! Love somewhere we missed? Tell us about your favorite place 40 years or younger.